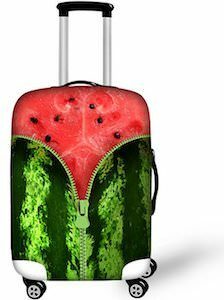 If you have a cool or boring suitcase then you need this watermelon suitcase cover. The suitcase cover will protect your cool suitcase from damage and will makes you boring suitcase look really cool. The suitcase cover is available in 3 sizes and is flexible to fit perfectly around you luggage. And this suitcase cover looks like watermelon and one that is cool as they printed a zipper on it so that it looks like you are opening the watermelon. 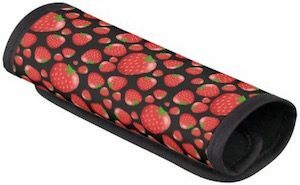 So now traveling will be great because you suitcase will stunning with this suitcase cover and it will also really easy to spot at the airport because not many people have a watermelon suitcase. Travel pillow are great for being comfortable while you try to sleep in an upright position. 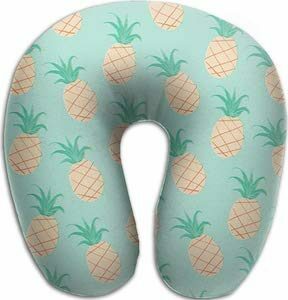 This neck pillow looks like a kiwi and that would look funny around your neck when you wear it on a plane, train or in the car. And this travel pillow is filled with micro beads for the ultimate support and comfort. No longer will you have a sore neck after your trip as this neck pillow will keep everything aligned. 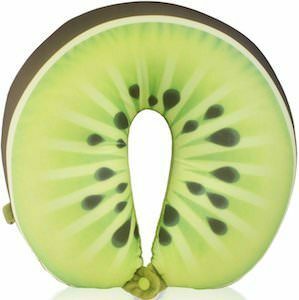 If you like fruit and especially kiwi’s then look no further as this travel pillow is just perfect and just what you need.